The transmission of epigenetic states across cell divisions in somatic tissues is now well accepted and the mechanisms are starting to be unveiled. The extent to which epigenetic inheritance can occur across generations is less clear, but represents a very exciting area with major implications for human health, plant and animal breeding and evolution. Given the press coverage and public interest, as well as the intensive research and certain controversy surrounding this topic, this workshop will provide an opportunity for timely exchange between experts from different disciplines. 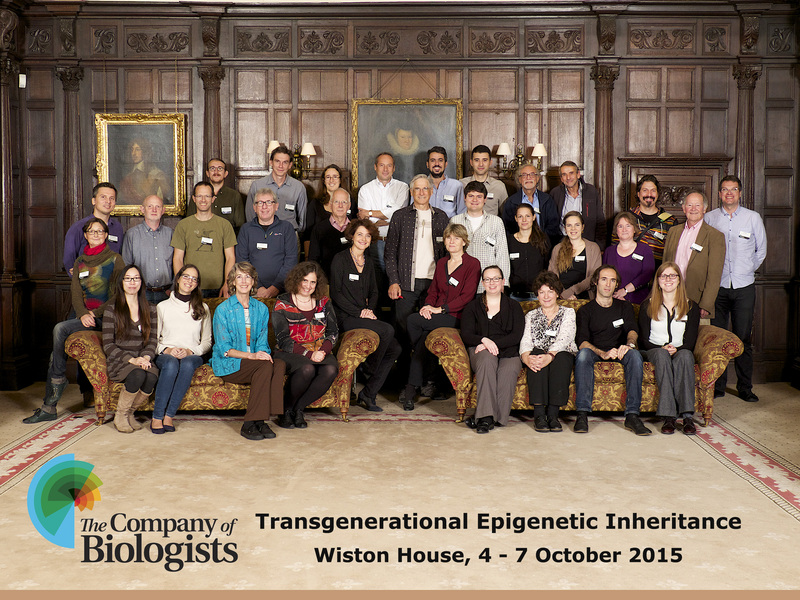 Some of the outstanding questions include: What triggers heritable epigenetic changes and how stably are they propagated? To what extent can one exclude a DNA sequence based mechanism? What are the types of covariates that must be taken into account in epidemiological studies? What types of strategies will be required to define the nature, extent and mechanisms of non-Mendelian transgenerational inheritance? This workshop aims to bring together experts in various fields that bridge the gaps between epidemiology, nutrition, genetics, development, neurobiology and the germ line, as well as specialists in epigenetic mechanisms, mitochondrial inheritance and evolutionary biology. It will try to incorporate theoretical, philosophical and experimental approaches. The aim will be to discuss the lines of evidence for and against epigenetic inheritance, as well as mechanistic considerations, in different organisms. Sufficient time for discussion and debate will be provided. The participants could also be encouraged to produce a short review or proceedings on the outcome of the workshop. The Company of Biologists’ Workshops only take place three times per year, on topics that are driving forward the progress of life sciences and biomedical research. The meetings are small and intensive, taking place over 3 days with 20 invited participants, all of whom we ask to make a presentation, and a further 10 chosen from submitted applications (students and postdocs as well as PIs). A condition of attendance is that you are present for the full meeting, from Sunday lunchtime through to Wednesday lunchtime. Inheritance and transmission of H3K27me3 in C. elegans. The 1-cell embryo (left) shows H3K27me3 (green) inherited on the sperm chromosomes but not on the oocyte chromosomes (pink) contributed by a PRC2 mutant mother. The 2-cell embryo (right) shows transmission of H3K27me3 on the sperm-derived chromosomes in each nucleus. The Workshops will be held at the beautiful Wiston House in Wilton Park, which is a 16th Century Grade I listed building located at the foot of the South Downs in West Sussex. The House is surrounded by over 6,000 acres of parkland with magnificent views from the mile-long drive. Wilton Park is one of the world’s leading centres for the discussion of key international policy issues. It was created in 1946 to help re-establish peace and democracy in Europe as part of an initiative inspired by Winston Churchill. Wiston House has an amazing history and appears in the Domesday Book, the register of English possessions made by William the Conqueror in 1086, 20 years after he won the Battle of Hastings. Wiston House is 32 miles from Gatwick Airport and 60 miles from Heathrow Airport. The nearest train station is Shoreham-by-Sea, which is a 20 minute taxi ride from Wiston House and takes 1 hour 10 minutes from London Victoria. The Company of Biologists is widely known for its excellence in scientific publishing and it now runs a successful high level series of Workshops. The Workshops provide leading experts and early career scientists from a diverse range of scientific backgrounds with a stimulating environment for the cross fertilization of interdisciplinary ideas. The programmes are carefully developed and are intended to champion the novel techniques and innovations that will underpin important scientific advances. The teams behind our journals bring you the most relevant and challenging topics for discussion through a series of international meetings. Important meetings serving the communities around our journals. Each meeting is individually crafted to suit the topic and audience, ranging from small intimate meetings with a focus on intense and detailed discussion to larger meetings with a focus on networking and opportunities for attendees to more widely share their latest research. Themes explored in the Journal Meetings go on to be discussed in the Company’s journals, helping to shape the field and even the journals themselves. If you have a vision for such a meeting but don’t have the time to arrange the logistics or raise the funding, then please contact us. We are seeking proposals for future Workshops and provide all necessary support.